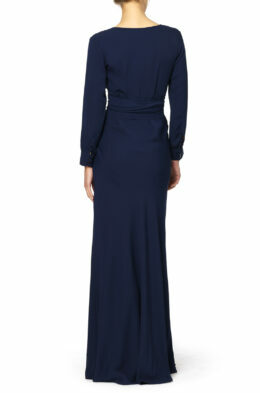 This flowy full length silk gown, is sewn on the bias and features 5 silk clad buttons at the back. The style is very fluid and forgiving, and can be warn in many different ways. Comes with our classic Greta sash. 100% silk, dry clean only. Model is 180 cm and is wearing a size small.